[4:19] <[Saint]> Nice to know that someone I consider sane runs with a massive RAMdisk as well. [4:20] <[Saint]> server-pi runs entirely from RAM after boot. [6:02] <[Saint]> Wheeee...that's, errr, nice. [6:04] <[Saint]> Thank FSM for versioned backups. [6:06] <[Saint]> I've been bitten too many times to not keep versioned, offline, regular, snapshots. [6:07] <[Saint]> My media gets backed up to a couple of 4TB external drives and chucked in a fireproof safe (a small one, not a massive Scrooge McDuck style one :)) every month or so. [6:09] <[Saint]> One for audio, one for everything else, pictures, video, system snapshots. [6:22] <[Saint]> It amuses me so greatly that my bank can't Unicode. [6:23] <[Saint]> "The balance of your account named: &#91;Saint&#93; is..."
[7:40] <[Saint]> timekeeper: relying solely on a third party, cloud based, backup system, is...brave. [7:43] <[Saint]> And Dropbox has some amusing insecurities. [10:39] <gordonDrogon> breakfast done, bread done & delivered. what now? [10:44] <koell> breakfast is the best from all day! [12:09] <gregtom6> gordonDrogon: we would like to use 4x20 LCD, GPIO_01 is backlight pwm but we need contrast pwm pin too, what can we do? [12:10] <gordonDrogon> move the backlight to a different pin. [12:11] <gordonDrogon> I'e never seen a display with software controlled contrast like that though - all the ones I've used/seen just have a little potentiometer to change the contrast. [12:20] <koell> ive seen a ted talk about wireless battery-powered some months ago. it is reallypossible!! [12:20] <gordonDrogon> koell, I can charge my Nexus 5 wirelessly. [12:21] <gordonDrogon> toothbrushes have charged wirelessly for years now. [12:22] <gordonDrogon> the technology has been there since the daya of Tesla - it's just not that efficient at distance. [12:23] <gordonDrogon> the "holy grail" is in the kitchen too - put a kettle down anywhere on the worktop and it will boil, etc. [12:23] <gordonDrogon> although there are other ways to do the energy transfer there - induction hobs e.g. [12:24] <gordonDrogon> I have a portable table-top induction hob. it's really good. [12:25] <gordonDrogon> tig|, I don't think it needs to be fast - especialy if you charge overnight. [12:26] <gordonDrogon> I rarely need a top-up on my N5, but I may not be quite the "power user" that others are. [12:27] <gordonDrogon> my wife often needs to top-up her HTC One but she uses it for video, podcasts and a lot of browsing, email through the day. [12:30] <[Saint]> Ms [Saint] has asked me to tell you, tig|, that she finds your handle rather amusing. [12:31] <tig|> any particular reason? [12:31] <[Saint]> Our kitten is called Tiger, and we call it tig, tig-tig, or tiggy, for short. [12:31] <[Saint]> So she imagines a kitten typing. [12:32] <[Saint]> Coincidentally, tig-tig is a tabby kitten. [13:15] <tanuva> boaaaaaah selbstfokussierende textfelder im brauser ICH BRING SIE UM! [13:17] <tanuva> Oh. Wait. This is not exactly the channel I was thinking it is. [13:46] <gregtom6> GordonDrogon: how can I set constrast with soft pwm on GPIO 3 (pi4j pin number) = GPIO15 (on raspberry)? 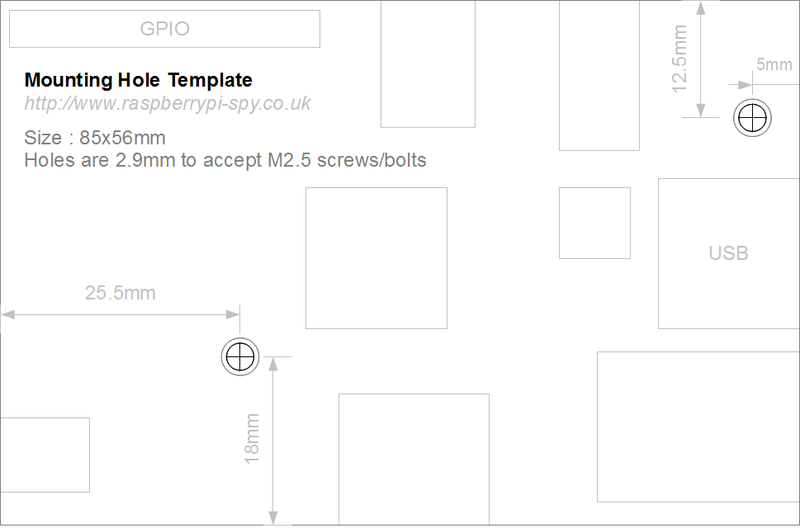 [13:48] <gregtom6> gordonDrogon: how can I set constrast with soft pwm on GPIO 3 (pi4j pin number) = GPIO15 (on raspberry)? [13:51] <gregtom6> then why is that in the doc that we can use any GPIO pin for softpwm??? [13:55] <gregtom6> it says: "WiringPi includes a software-driven PWM handler capable of outputting a PWM signal on any of the Raspberry Pi's GPIO pins." [13:57] <ShorTie> have you compared that to what wiringPi actually says about it ?? [14:12] <gordonDrogon> you can softPwm any pin with a range value between 0 and 100. [14:13] <gordonDrogon> the PWM function only lasts as long as the program is running - when the program stops, so does the pwm. [14:13] <gordonDrogon> I know nothing avout the pi4j implementation though - all my stuff is in C or RTB. [14:35] <pjetr> Hello, I recently dropped my phone causing the need to buy a replacement screen, this got me thinking. You can find cheap and decent screens, batteries, camera's en whatnot if you were to buy mobile replacement stuff. Has anyone here attempted something like that? [14:41] <gordonDrogon> the difficult part is interfacing to the display. [14:41] <gordonDrogon> far easier if you can get a display that's already hdmi. [14:42] <gordonDrogon> e.g. motorola lapdock - which I have. [14:43] <gordonDrogon> if the screen has an SPI interface, it might be posible - not going to be as fast as a proper hdmi display though. [14:44] <gordonDrogon> that will all work. [14:44] <gordonDrogon> not sure about the P&P bit - always turn that off on all routers I use. [14:50] <gordonDrogon> I've done this commercially in the past. it's easy to do a force-redirect in Linux. [14:51] <gordonDrogon> thats independant of dns/dhcp. [15:43] <Serus> Can I connect an externally powered usb 3.0 hdd to my raspberry pi? [15:44] <shiftplusone> sure, as long as you don't expect 3.0 speeds. [15:45] <Rufio> i have a raspberry pi playing raspbmc. every few hours it decides to drop video and stop playing. I've used four different 1A - 1.5A power supplies on it with teh same results. Any suggestions? [15:46] <ShorTie> where did you get your micro usb cable, is it from a phone ?? [15:47] <ShorTie> did you measure the voltage at tp1 to tp2 ?? [15:47] <Rufio> no, how do i do that? [15:47] <Rufio> got a link? [15:50] <ShorTie> sure it doesn't reboot cause of a brown out ?? [16:05] <ShorTie> have you looked in dmesg and/or syslog ?? [16:09] <BetaSoul> Is there a package for maynard/weyland over vnc? [16:22] <gordonDrogon> I would doubt it - doesn't it need to use native hardware? [16:29] <ShorTie> how big is the power supply if i can ask ?? [17:09] <gordonDrogon> it's always lunchtime somewhere. [17:09] <IT_Sean> SirLagz: oooh, you emant 11:08 PM! [17:12] <jrtc27> voidfire SirLagz I'd imagine gzip would make a large difference? [17:13] <gordonDrogon> voidfire, I stopped backing up from the Pi - I now regard them as expendable. critical data is stored on servers... but when I do have something on the Pi, I used rsync to back it up to another device. [17:14] <gordonDrogon> if you are going to dd from a live image, then be aware that the image created may have filesystem errors as it may not include the in-flight data in ram still to be written to SD. [17:14] <SirLagz> gordonDrogon: run a sync before you dd ? [17:15] <gordonDrogon> that will make the subsequent compress run better. [17:15] <gordonDrogon> SirLagz, it'll help, but you might have rsyslogd running, etc. [17:15] <gordonDrogon> it will still be an image considered "dirty" at boot time, but the fsck action should tidy it up without any fuss. [17:23] <jrtc27> at least upgrading doesn't require compiling anything from source..
[17:25] <gordonDrogon> well - people are running Gentoo on the Pi. [17:25] <jrtc27> that's gotta be painful, right? [17:25] <gordonDrogon> it takes some patience AIUI..
[17:31] <gordonDrogon> hm. TRIM fails on the flash on the compute module. [17:55] <The_ManU_212> hi, i am using a dvbs2 tv tuner with xbmc. because the usb driver and isochronous trasnfers were broken it wasnt usuable. with fiq_fsm driver rewrite it has been fixed, but i have still some artifacts, are there any parameters, how i can fix it? [18:19] <gordonDrogon> no, not that one. don't click that. [18:20] <gwildor> its animaniacs...im stoked! [18:20] <gordonDrogon> try that one. [18:20] <gordonDrogon> I wish I could get them on DVD in the UK. [18:21] <gordonDrogon> I watched them first time round when I was living in the US. amazing. [18:21] <gwildor> id only know of a bootleg venue to get those... not sure if there is an official dvd release. [18:30] <gordonDrogon> Hmph. for a few seconds there I thought the Pi Compute Module mounting holes were the same size as a monitor/tv VESA mounting holes. Sadly it's a little smaller. [18:44] <Davespice_> guys, anyone got a good cad drawing for the position of the mounting holes on the model B? [18:45] <IT_Sean> Have you tried Google? I bet there is one out there somewhere. [18:47] <shiftplusone> I don't remember there being any good ones, but they are there. [18:48] <Davespice> yeah true, is James at his desk shiftplusone? [18:48] <shiftplusone> should I ask gordon? [19:19] <The_ManU_212> i am using a dvbs2 tv tuner with xbmc. because the usb driver and isochronous trasnfers were broken it wasnt usuable. with fiq_fsm driver rewrite it has been fixed, but i have still some artifacts, are there any parameters, how i can fix it? [19:21] <sla_eerick> does anyone has a good recommendation for micro usb form usb wifi adapter that supports monitor mode and has a good range? [19:22] <tanuva> The_ManU_212: which tv backend are you using? [19:57] <linuxstb> The_ManU_212: One thing to check is if you can enable hardware PID filtering on your device - "options dvb_usb force_pid_filter_usage=1"
[19:57] <linuxstb> The_ManU_212: The kernel log when the driver is loaded should say whether or not hardware filtering is being used. [19:58] <sla_eerick> any owners of a rpi from Mexico? [20:20] <iElectric> is there raspberrypi alternative with thunderbolt? [20:21] <iElectric> with display port. [20:27] <Jusii> Matrikular: I've ordered to finland, should be the same? [20:30] <Matrikular> Jusii: but all went well you say? [20:36] <Matrikular> ok, to have a ballpark figure the duty / tax calculator mentioned on the page should give me an idea of all the costs, right? [20:38] <pksato> Matrikular: no one sell similar parts on germany or europe? [20:44] <The_ManU_212> tanuva: i have overclocked my rpi so i think cpu usage isnt the problem?! which usage ratio is okay? [20:50] <The_ManU_212> Jusii: because of what? [20:52] <The_ManU_212> Jusii: thermal problems? [20:53] <gwildor> Jusii: you have... 12 total tuners on your pi ? [20:53] <gwildor> Jusii: 4 'devices' w/ 3 tuners each..
[20:54] <gwildor> Jusii: ahh, ok... what is your count during optimal operations ? [20:54] <The_ManU_212> Jusii: did you test the unrelieble devices also with another machine? [20:55] <The_ManU_212> Jusii: what do you use instead? [20:55] <gwildor> oh, these tuners dont live on the pi ? [20:55] <gwildor> i was curiouse about performance ;)...no so much the issues w/ the tuners. [20:57] <gwildor> yeah...why i was shocked. [21:04] <The_ManU_212> linuxstb: http://pastie.org/9323774 dont know if the device is capable of pid filtering?! [21:15] <jrtc27> I should be concerned by this, right? "computing size, want /var/swap=990MByte, checking existing: deleting wrong size file (104857600), generating swapfile ..."
[21:16] <gordonDrogon> jrtc27, not really. it's just re-creating the swapfile to a size it prefers. [21:16] <[Saint]> Not at all. [21:16] <[Saint]> Its telling you what it's doing. [21:16] <gordonDrogon> personally I run without swap, but that's just me. [21:16] <[Saint]> You don't need to. [21:17] <[Saint]> Its a default. [21:18] <[Saint]> That'll tell you how to resize. [21:18] <[Saint]> 32MB is likely plenty. [21:21] <[Saint]> Wait until the system is idle. [21:26] <[Saint]> You should /probably/ report that. [21:26] <jrtc27> + report what? [21:26] <linuxstb> The_ManU_212: Is there nothing in your logs related to the dvb_usb module? [21:27] <[Saint]> It's good to have swap. [21:32] <gordonDrogon> dphys-swap thingy calculates the swapfile size based on RAM size not disk size. [21:32] <gordonDrogon> when I have used swap, I've just fixed it in /etc/fstab anyway - I think it's marginally faster at boot time. [21:33] <gordonDrogon> double RAM is a "traditional" value to use. [21:33] <gordonDrogon> there have been virtual holy wars over swap file size in the past - modern linux doesn't care. [21:34] <gordonDrogon> I also think the raspbian approach to swap isn't right - I do the exact opposite. [21:34] <gordonDrogon> raspbian sets it to 1. [21:35] <gordonDrogon> my theory is that I explicitly want linux to swap out anything that's not used - which is what it'll do first. [21:35] <mgottschlag> btw, anyone can tell me what the reasons for/against swapfiles instead of partitons are? [21:35] <gordonDrogon> swapfiles used to be slower, but now the kernel builds up a list of the physical block numbers in a swapfile, so it's the same speed. [21:48] <gordonDrogon> if you delete it when its in-use, it will be ok - the file will look like its deleted, but still take up space on the disk - it will really be deleted when its closed. [21:50] <gordonDrogon> mgottschlag, I think there may still be a small advantage to using a swap partition on spinning drives - you can physically position it in the middle of the most-used part of the disk - possible between the /usr and /home partitions - the idea being to minimise head movement - tuning like that was important 15+ years ago, but it's a lost art these days, and who bothers with partitions anyway... (I do on my servers, but . [21:53] <[Saint]> I bother with partitions because it makes recovery SO much easier. [21:54] <[Saint]> And, in part, j would guess, habit. [21:54] <[Saint]> Its kinda the mark of an old hat these days. [21:56] <[Saint]> And, regarding swap, I would agree with you in every sense about the want to swap out as fast as possible on low resource systems, except for one small caveat. [21:56] <[Saint]> On the raspi, the increased latency is highly obvious. [21:56] <[Saint]> So its kinda debatable as to whether it helps or not. [21:57] <[Saint]> As the system spends more time overall on the same task for the sake if keeping a task it could launch again open. [21:58] <gordonDrogon> but then its demand paged these days anyway, so who really knows and I don't have the time to do proper benchmarks. [21:59] <[Saint]> If it is, win. I can certainly imagine cases where it might not be, though. [22:00] <gordonDrogon> I've not done anything on a Pi for a long time that's caused it to swap though. I even compiled the LAMP stack some time back and it didn't swap. thought it might with mysql, but it didn't. [22:01] <[Saint]> What do you use as a bouncer? [22:01] <[Saint]> Ive been using quassel-core for a few years. [22:02] <gordonDrogon> I keep meaning to use a bouncer. one day. [22:02] <[Saint]> I run a quassel-core for 8 users w/ an average of 10 clients each on a pi. [22:04] <[Saint]> Yay. Visitor-kitten successfully delivered to her human. [22:05] <[Saint]> We had a cold, hungry, obviously lost (fat, and well cared for) kitten show up at the door last night. [22:06] <IT_Sean> $coworker keeps pointing out puppies that need adopting in the area (she is apparently on the local shelter's mailing list). Going to solve that with a few changes to the spam filter. [22:07] <[Saint]> I would love ALL the kitties, if I could. [22:07] <[Saint]> But we already have 6. [22:07] <IT_Sean> aaaaaaaaaaand [Saint] is now the #raspberrypi Crazy Cat Lady. [22:08] <The_ManU_212> linuxstb: any idea? [22:18] <[Saint]> I had two, she had two, one adopted us, and one came with the last flat we were in. [22:18] <[Saint]> It just kinda...happened. [22:19] <[Saint]> Over the course of 5 years. [22:21] <jrtc27> maybe your shared love of kittens brought you together? [22:24] <[Saint]> All the hip cats (excuse the pun) use Imgur and/or gyfcat now. [22:30] <shiftplusone> is that like angelfire and geocities? [22:37] <linguini> One of my two raspberry pis suddenly stopped reading sd cards. [22:38] <linguini> The pi was from element14 and is in a clear case that makes the sd card insertion a little "tight". [22:39] <linguini> But other than that, I don't have a clue why it stopped working. My other pi reads the same SD cards. [22:39] <shiftplusone> if you examine the sd slot closely, does it appear undamaged? [22:40] <linguini> It appeared undamaged, but one or two of the little gold arms /may/ have been a little flat. [22:42] <linguini> I ended up using a pair of tweezers to put a little more of a "bend" in the flattest gold arm to make sure contact was made. [22:45] <linguini> shiftplusone: Indeed! I get a little flicker on the ACT button when squeezing the card in and turning power on. Without the sqeeze, no ACT light. [22:45] <gordonDrogon> however my spelt is now a blend of 50% white spelt and 50% wholemeal spelt. [22:45] <gordonDrogon> rikkib, the WI have nothing on my scones, let me tell you! [22:48] <linguini> shiftplusone: Thanks for the tips; I'll see if I can rig something up. [22:48] <shiftplusone> linguini, good luck. I ended up replacing the slots on a few of mine. [22:48] <linguini> Is this a common problem in pi's? I'm tempted to blame the [now removed] case, which forces the SD card to go in at a slight angle. [22:49] <linguini> jrtc27: element14 clear case? [22:50] <shiftplusone> linguini, It's not common, no. However, it's not uncommon either. [22:50] <jrtc27> so I think so? [22:53] <linguini> shiftplusone: Did you buy, unsolder, resolder? [22:55] <linguini> I may try sticking something under the gold arms instead; we'll see if works. [22:56] <shiftplusone> the slot actually had to go on upside down. [23:03] <[Saint]> Way easier than air. [23:04] <jrtc27> btw, where should I go to report that bug with the dphys-swapfile package? [23:06] <[Saint]> I'm not exactly sure. Its clear from your post that the original, sane, 100MB value was initially set. [23:07] <[Saint]> That was the default for as long as I used raspbian. [23:09] <[Saint]> Where the heck it got 990MB from is beyond me. [23:10] <[Saint]> Your ram is 495MB? [23:12] <[Saint]> You must be making some sacrifices, I would bet. [23:13] <[Saint]> Raspbian hasn't fitted on a 2GB card for AGES. [23:13] <[Saint]> without a massive swapfile. [23:14] <[Saint]> Ahhhh...that makes some more sense. [23:20] <Johannes`> Hi, is there any working way to set a warmer color temperature? [23:25] <Johannes`> where's the appropriate version? [23:26] <Johannes`> not finding anything on google. [23:26] <linguini> With firm squeezing, pi boots. As I gradually release my grip, error messages flow by the console about I/O. [23:27] <ShorTie> vise grip ?? [23:27] <linguini> Shoving small wire insulation under gold arms did not work. [23:28] <Johannes`> [Saint]: so is there actually an ARM version of f.lux? [23:28] <[Saint]> Yes and no. [23:28] <[Saint]> You'll need to compile it. [23:29] <[Saint]> Theres sources upnin the PPA iirc. [23:30] <linguini> Is there any way to use a pi without the SD card? Can it boot from USB or something? [23:30] <[Saint]> Bah...not what I wanted. But, close. [23:31] <[Saint]> I'm fairly sure I've seen armel/HF binaries floating around. [23:33] <Johannes`> i don't get it.. there's an ARM version of the GUI for flux, but not of flux itself? [23:34] <[Saint]> Jeebus. Why was that so hard to find. [23:36] <[Saint]> OK...so, apparently I'm blind, or insane, or this was never a thing. [23:36] <jrtc27> ok, overclocking/overvolting - which of the presets are typically stable? [23:37] <Johannes`> how does f.lux change the color profile? [23:38] <[Saint]> Maybe, but, Broadcomm is involved, son I wouldn't bet on it. [23:39] <[Saint]> jrtc27: after some rather extensive poking around in that area my position is it just isn't worth it. [23:39] <jrtc27> [Saint] for what reason? [23:40] <[Saint]> jrtc27: the very marginal speed gain isn't worth risking all your data for. [23:40] <[Saint]> Nonone likes a thrashed FS, do they? [23:40] <Johannes`> "Failed to start adjustment method randr." [23:40] <jrtc27> what if I said yes? [23:42] <[Saint]> You might get 1GHz stable for a while but it almost certainly will crap the bed at some stage. [23:42] <[Saint]> Just a question of when. [23:43] <[Saint]> I got pretty silly with the raspi overclockig early on. [23:43] <[Saint]> ...for about half an hour. [23:43] <[Saint]> When idle only. [23:44] <[Saint]> Bah. Autocorrect. Thanks. [23:46] <Johannes`> are there other video drivers than xf86-video-fbdev? [23:46] <[Saint]> What's setting OV to 2 for 900MHz? [23:46] <[Saint]> It shouldn't need OV at all at that clock. [23:56] <Johannes`> does anyone have it working?